3: Volksrust Breakfast Run. 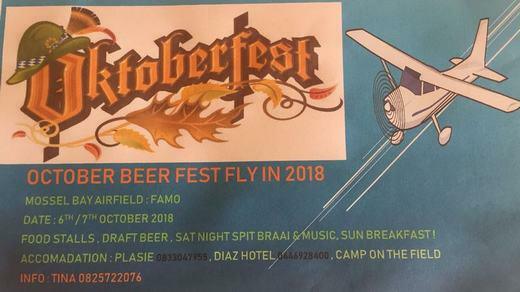 Free breakfast to all pilots and passengers. Hangar dance. To RSVP Whatsapp Robert 082 907 4917. Dear Aero Club Member, with almost 2 years since the Aero Club strategic review held in January 2017 where it was resolved that a more contemporary Aero Club structure would be appropriate for our collective future, subsequent strategy workgroups as well as member surveys have led us to a point where a new set of governance documents have been drafted. Primarily as currently the Aero Club today is governed by Articles of Association, this is not as yet in line with the amended companies act of 2008, where a Memorandum of Incorporation (MOI) is the defining standard in terms of company registration. Thus, to rectify this, the plan is to bring into effect a suitable MOI and underpinned by a new Constitution which will replace the Articles of Association. The essential changes in the Constitution are mostly related to changes in the management structures and the fiduciary roles of the directors and council members, as well as defining more explicitly terms of office. 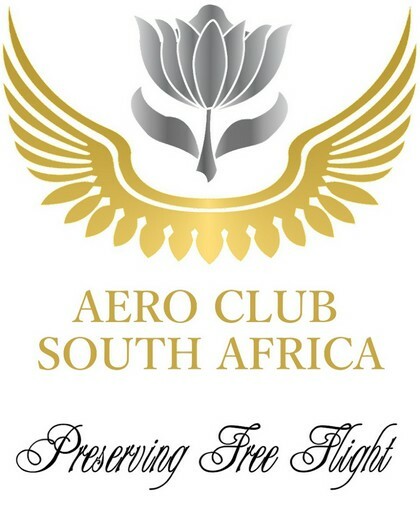 If you have any comments / proposals related to this new set of Governance documents, please post these to office@aeroclub.org.za Should there be any material changes based on further inputs from members, this may affect the date, however, updates made will be communicated with further mailings with updated revisions of the documents uploaded on the website. The AERO South Africa 2019 exhibition will be hosted at Wonderboom National Airport from 4-6 July 2019 and is poised to be Africa's largest general aviation trade show. The event will expose visitors to the latest advances, developments, products and services from exhibitors in the aviation industry. 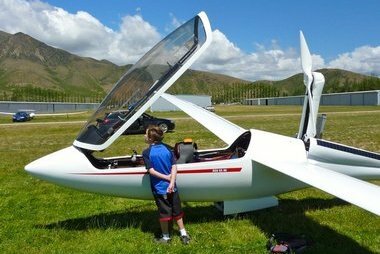 From ultralights and gliders to business jets, helicopters and electric aircraft, as well as avionics and maintenance, companies will be afforded the opportunity to showcase their cutting-edge products and services. Meet with leading industry experts, enthusiasts, aviation companies, flight training schools, pilots, business jet owners and private aircraft owners over 3 days of excitement, demonstrations and face-to-face business meetings. Test flight facilities that will also enable fly-in of visitors…………An affordable, engaging and diverse platform for manufacturers and suppliers. Visitors can keep abreast and get acquainted with the latest products available to the industry………….Workshops and experimental zones to showcase industry developments whilst experiencing the latest innovations. Please feel free to get in contact with one of our team members below should you have any questions. Premiums are hardening in the aviation insurance industry as capacity, both locally and abroad, is contracting. Although this is not great on the pocket at first, it will ultimately benefit clients says Reon Wiese, an aviation insurance specialist at PSG Insure, part of JSE-listed PSG Konsult. Over the last 10 years, insurers have been adding aviation to their offerings and newer, smaller aviation brokerages have been offering cheap coverage. This resulted in a glut that drove premiums down to unprecedented and, in Wiese's opinion, unsustainable levels. Wiese, an aircraft owner and pilot himself, admits that low aviation insurance premiums are attractive, especially considering the overall cost of this pursuit. "But while low premiums are attractive, what's more important is that your claim is ultimately settled as expected." In the last couple of years insurance companies began realising losses from their aviation lines. "This wasn't as a result of increased claims, but rather due to premiums becoming unsustainably low, resulting in insurers losing money, says Wiese. Insuring a flight school with six or more aircraft for a minimal premium is good for the client in year one. However, claims will negate the premium with the first loss. Insurers then have no option but to substantially increase the next year's premium, failing which the sustainability of the insurance line is threatened. As a result, a number of aviation insurance carriers started offloading their aviation books. In Wiese's view, this process is only halfway complete, particularly in the general aviation segment. In insurance parlance, airplanes with over 50 seats are classed as airlines, while those with less are classed as 'general aviation'. Because prices were driven so low, increases will have to be fairly substantial going forward. Wiese says that in both general aviation and airline insurance, prices have already gone up between 10% and 15% depending on the insurer. "In both segments we expect similar increases for the next five years to bring premiums back to levels where clients are getting good coverage from reliable underwriters who, in turn, are able to settle claims and still make an appropriate profit," he says. To put the increases required to return to sustainable premium levels into perspective, it is worth noting that rates 10 years ago were more than triple compared to today's levels. Claims in aviation insurance can be massive. 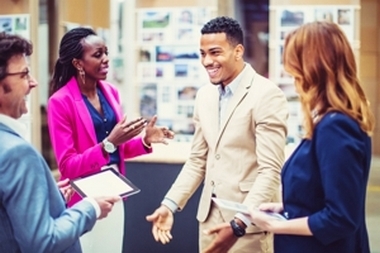 Therefore, it's important that your insurance company has good credentials and your brokerage is able to service and support you to the expected standard. "When smaller aviation insurers or brokers exit the market because they accepted the risk at an unsustainably low rate, they tend to leave behind unsettled claims with difficult reinsurance structures and no payment. Alternatively, the claims only get half-settled with the insurer refusing to pay the claim in full." This is clearly neither to the benefit of clients, nor the aviation industry. South African law requires advisers to first try to place a policy in the local market. There are now only a handful of South African insurance companies that provide aviation insurance. PSG supports solid local companies with the risk they are comfortable in covering. Bigger risks are placed through a combination of syndicates within Lloyds of London and/or A-rated international insurers. "Risk sharing is a vital feature of aviation insurance," Wiese says. PSG Insure has one of the biggest aviation insurance offerings in South Africa, and is the only brokerage that offers a full-service offering across all classes of short-term insurance (commercial and personal lines). National Ultralight is delighted to announce the new Challenger Light Sport E Series. The new EL-65 is a long wing, two seat, high power, high lift aircraft well suited for amphibious floats, heavy loads and high density altitudes. Photo © Challenger. The new ES-65 is a clip wing derivative of the EL-65 optimized for speed with a wing four feet shorter. The 582 powered EL-65 and ES-65 can carry impressive payloads while delivering outstanding STOL performance. The EL-65 and ES-65 incorporate key improvements of the top of the line Light Sport X Series XL-65 and XS-65, at lower prices closely comparable to the earlier Challenger II models. In effect the predecessor Challenger II's capabilities are significantly uplifted without uplifting the cost. The new models are powered by the bespoke Challenger 582 Power Pack which has been the number one choice of owners since 2005 The oil injected 582 has proven itself in over 10 years of real world use, delivering exceptional performance, excellent fuel economy and outstanding reliability in a wide range of terrains throughout the extremes of four season climates. The new E Series models have the larger tapered vertical tail and differential ailerons of the XL-65 and XS-65. The result is easier, more conventional handling with much less rudder work, especially in turbulence. The new E Series also gets the XL/XS easy entry cabin. The windscreen, doors and cockpit side rails have been redesigned to make entry and exit much easier. The windscreen is moved 4.5 inches forward compared to previous Challenger II models. This gives more room for the pilot to enter the front seat. The Challenger Light Sport XL-65 and XS-65 were originally designed expressly for diverse Canadian missions in a wide range of terrain and temperatures. Development was driven by over thirty years of real world experience on wheels, skis and floats. The XL-65 and XS-65 incorporate numerous features and design enhancements based on customer inputs. EASA has recently published the latest version of the EASA Basic Regulation which was voted upon by the European Union Parliament in June, 2018. A part of this new regulation now allows for 600 kg MTOW Ultralight (UL) aircraft under the control of the CAA's of the member states. Photo © CTSW. With the publication of the Regulation, (EU) 2018/1139 will enter into use on 11, September 2018. The EASA member states are now allowed to 'opt-out' or choose to not require the more restrictive EASA regulations for aircraft with a maximum takeoff mass up to 600 kilograms. Specifically, every member state must apply for an opt-out and can then have national rules for aircraft up to 600 kg. Several countries, like the Czech Republic, Germany, Italy and many others already declared that they will use this option. Although the final rules for certification, service, pilot licences etc. are not yet available, they are anticipated soon. In Germany it is expected that rules will be much like the existing rules for Ultralight aircraft. The staff at Flight Design general aviation is already working on the compliance for our existing fleet. We expect that the major part of the existing fleet can comply with the new 600 kg rules with some compliance verification, supplemental changes and an upgrade to a 600 kg rescue system. More to come soon! Zunum Aero, a pioneer in electric aviation, selected Safran Helicopter Engines for its hybrid-to-electric commercial aircraft, which will be available in the early 2020s. Safran Helicopter Engines will provide a new generation engine turbine to drive the Zunum ZA10's electrical generator. Photo © Zunum. This turbo-generator will power this 12-seat, hybrid-to-electric 700-mile commercial aircraft, driving extraordinarily low operating costs, offering unprecedented door-to-door travel times that are 2 to 4 times faster than today. Zunum expects to light up thirty thousand airports around the world with frequent and affordable air service. Boeing and its risk-sharing partner Saab designed, developed, and flight tested two all-new, purpose-built jets ? 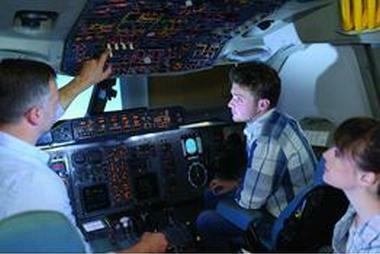 proving out the system's design, repeatability in manufacturing and training capability. USA, Greenville: Neither pilot killed in the Falcon 50 crash at the Greenville Downtown Airport had the proper credentials to fly the jet, according to their Federal Aviation Administration records. The Falcon 50 jet crashed killing the pilot and co-pilot and injuring two passengers. The plane went off a runway, through a fence and down about a 200-foot safety area, which includes a fairly steep embankment. Caswell's records show he had "DA-50 SIC privileges only." The plane was a Dassault Falcon 50, also known as a DA-50. SIC stands for second-in-command. He was qualified to be a co-pilot on the jet. Fox's records don't indicate a rating that would allow him to fly DA-50 aircraft. An FAA official confirmed the records are up to date at the time of the crash. US, Marine Corps Air Station Beaufort: The U.S. military suffered its first crash of an F-35 aircraft in the 17 year history of the high-profile fighter jet program. The crash of the Marine Corps variant of the F-35, known as the F-35B Lightning II, occurred Friday at 11:45 a.m. outside Marine Corps Air Station Beaufort in South Carolina. The U.S. Marine pilot safely ejected. The aircraft, which cost more than $100 million, belonged to Marine Fighter Attack Training Squadron 501, which trains Marine pilots for combat with the F-35. USA, Type: Owyhee County between Reynolds Creek and Silver City: A Cessna 210T operated by T and C Aircraft Corp with three and a canine onboard impacted mountainous terrain in Owyhee County. The airplane sustained unreported damage. None of those onboard survived. USA, Brackett Field Airport: The pilot of a Beechcraft V35 Bonanza on approach to the airfield clipped a tree and impacted terrain near Brackett Field Airport in La Verne, California. The aircraft was consumed by the post-impact fire. The pilot did not survive the crash. Canada, Winnipeg: An Air Canada Airbus A320-200 on a flight from Winnipeg, MB to Toronto, ON was climbing through FL200 on autopilot when the flight crew noticed the aircraft showed a 5 degrees left bank and right rudder input. The crew disconnected the autopilot but needed to apply the same left roll and right rudder input in order to maintain heading in manual flight. The crew decided to return to Winnipeg and landed safely about 40 minutes after departure. The Canadian TSB reported maintenance identified a faulty rudder trim actuator and replaced it. Russia, Ostrovets, Moscow: A Mig-29 of the Russian Air Force with two onboard crashed in a forest. Both occupants ejected safely. The aircraft was damaged beyond repair. USA, close to Hefner-Easley Airport: Following a loss of engine power shortly after take-off from Hefner-Easley Airport Wagoner, Oklahoma, a Cessna 206 with only the pilot onboard did a forced landing . The airplane sustained substantial damage and the sole pilot onboard received unspecified injuries. Russia, near Vonyshevo: A Eurocopter AS 350B3 Écureuil private helicopter crashed into tree, killing all three on board, including the Deputy Prosecutor General of the Russian Federation. All four occupants, the pilot and three passengers, died in the crash. The aircraft was consumed in the post-crash fire. Kathryn D. Sullivan becomes the first American woman to perform spacewalk aboard the Space Shuttle Challenger. Kathryn Dwyer Sullivan (born October 3, 1951) is an American geologist and a former NASA astronaut. In 1988, Sullivan joined the U.S. Naval Reserve as an oceanography officer, retiring with the rank of captain in 2006. She has served as chief scientist for the National Oceanic and Atmospheric Administration. Before NASA, Sullivan worked in Alaska as an oceanographer. 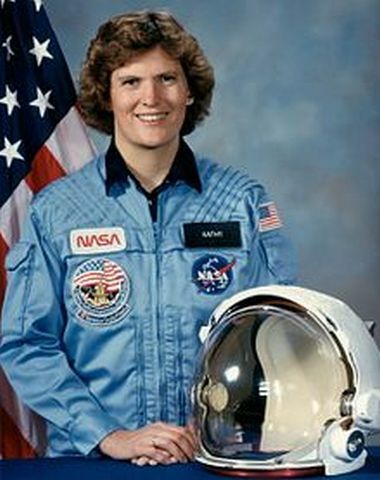 Sullivan performed the first extra-vehicular activity (EVA) by an American woman during Space Shuttle Challenger mission STS-41-G on 11 October 1984. Sullivan and mission specialist David Leestma performed a 3.5-hour spacewalk in which they operated a system designed to show that a satellite could be refuelled in orbit. During their eight-day mission, the crew deployed the Earth Radiation Budget Satellite, conducted scientific observations of the earth with the OSTA-3 pallet (including the SIR-B radar, FILE, and MAPS experiments) and large format camera (LFC), conducted a satellite refuelling demonstration using hydrazine fuel with the Orbital Refuelling System (ORS), and conducted numerous in-cabin experiments as well as activating eight "Getaway Special" canisters. STS-41G completed 132 orbits of the Earth in 197.5 hours, before landing at Kennedy Space Centre, Florida, on 13 October 1984. Sullivan left NASA in 1993. She flew on three space shuttle missions and logged 532 hours in space.